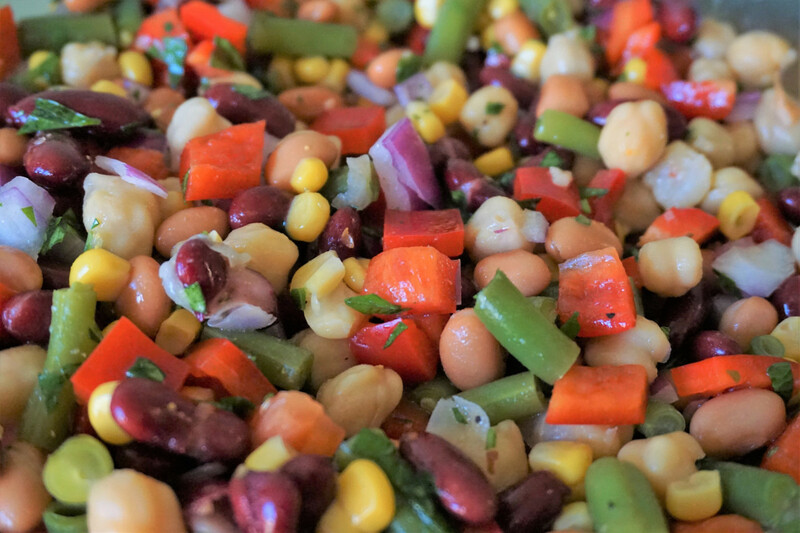 You can never really go wrong with bean salad. It’s easy to make, inexpensive, and quite good for you – full of protein, fiber, vitamins and minerals. 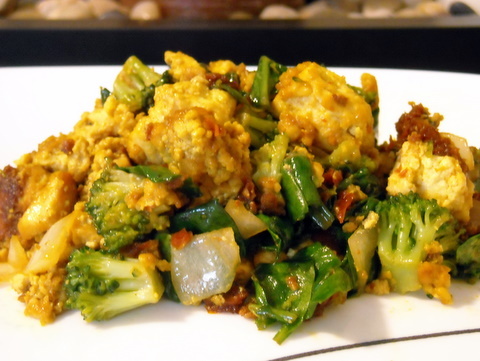 It’s perfect to make in advance as it keeps well in the refrigerator for several days. Plus it’s just so colorful and pretty! 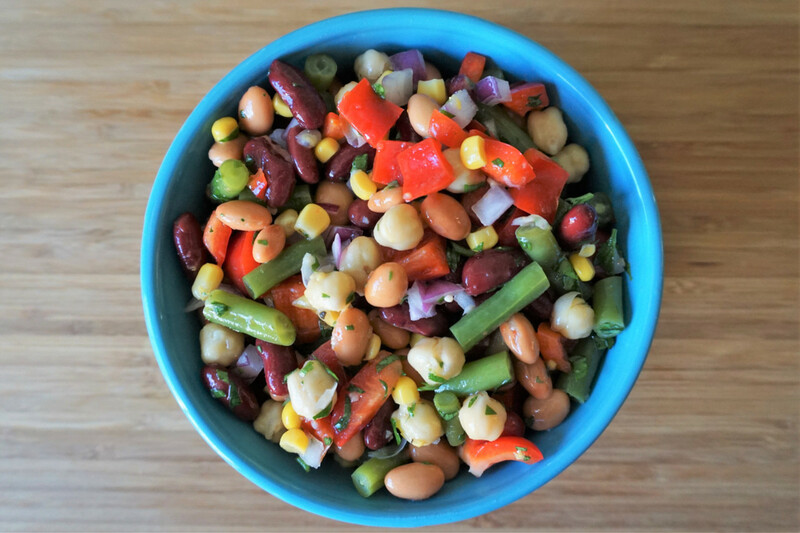 Richard started experimenting with bean salad dishes during the weekends, and this recipe is one of his creations. He makes a big batch of it so we can bring it to work as lunches, or have on the side with dinner (some days we do both!). This also works great as a snack with some pita chips. 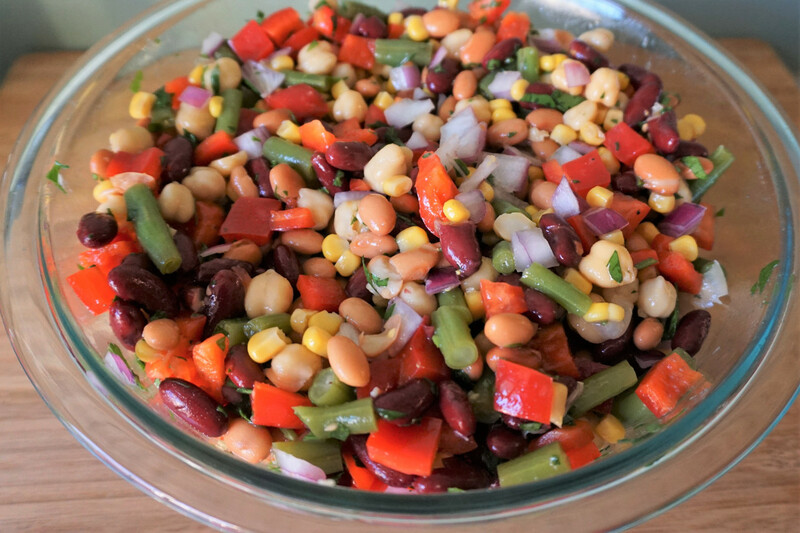 It’s a nice light dish, which makes it perfect for summertime barbecues, potlucks and picnics. 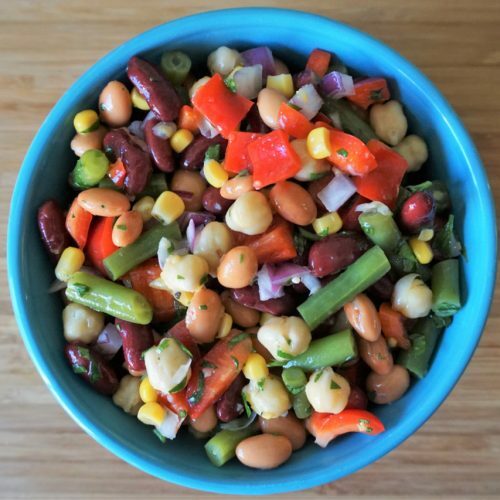 This recipe is readily customizable – you can add more or less Italian dressing or parsley as desired, and can even omit the salt and pepper (which we often do) and still have it turn out delicious. I recommend blanching the green beans; it not only softens them up a bit, but brightens their color as well. 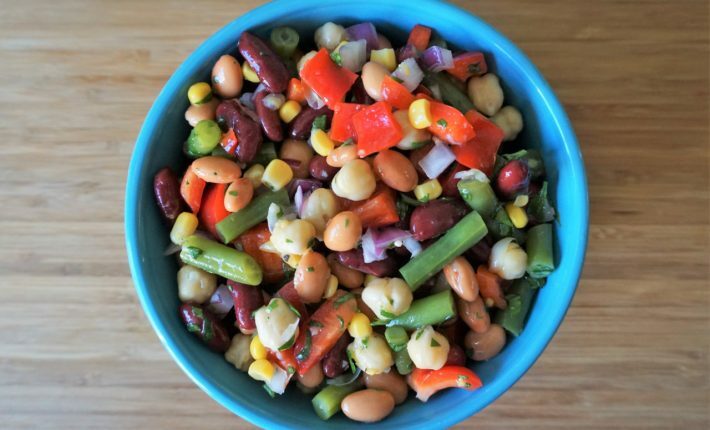 A simple and quick bean salad that’s perfect for any occasion. Fill a pot with ice water and set aside. Fill another pot with water and bring to a boil; add the green beans and leave for about 3 minutes. Remove green beans from heat and add to the ice water to stop the cooking process. Once cooled, transfer the beans to a colander to drain the ice water. Enjoy immediately or chill in the fridge before serving.